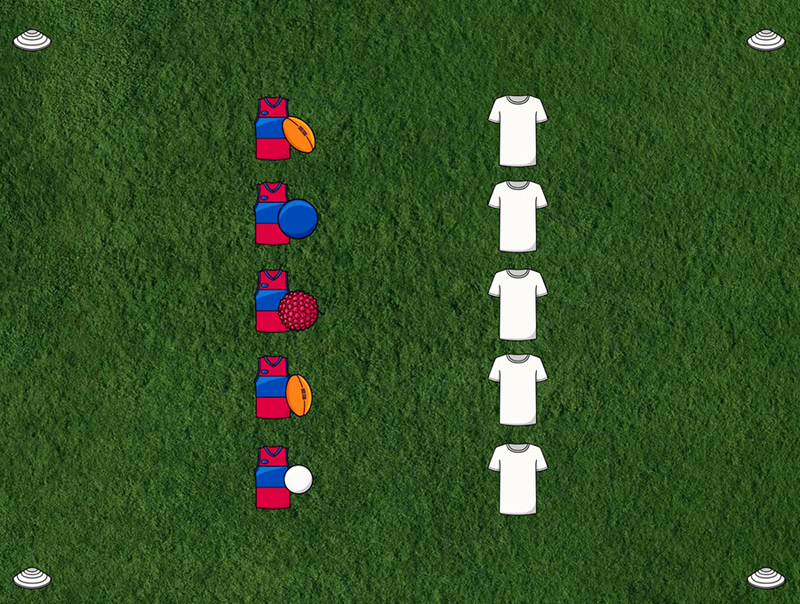 The Auskicker and an adult line up opposite each other about one metre apart. 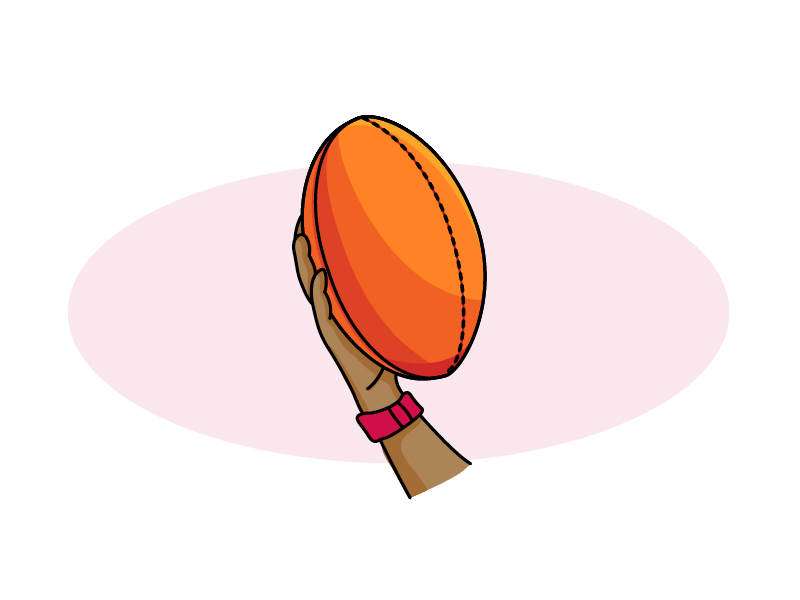 Before you start, share your pointers on how to best catch the ball (for more tips on how to catch the ball, refer to the handy hints on the 'TIPS' page). 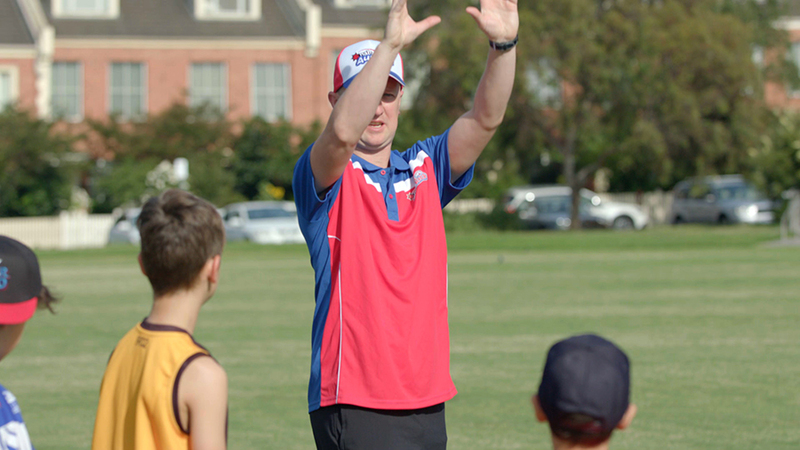 For chest marks: The adult gently throws the ball to the Auskicker so their arms can hug the ball into their chest. 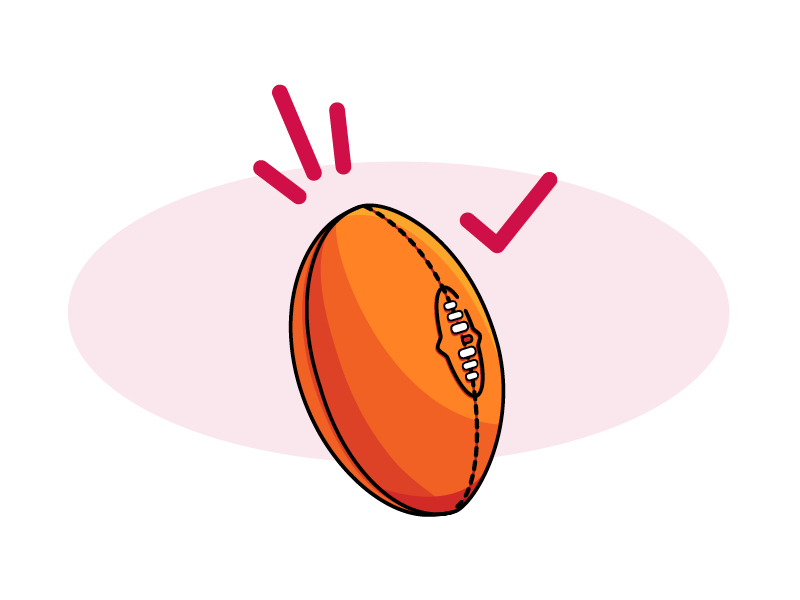 If they get confident, throw the (oval) footy to them so it spins backwards! 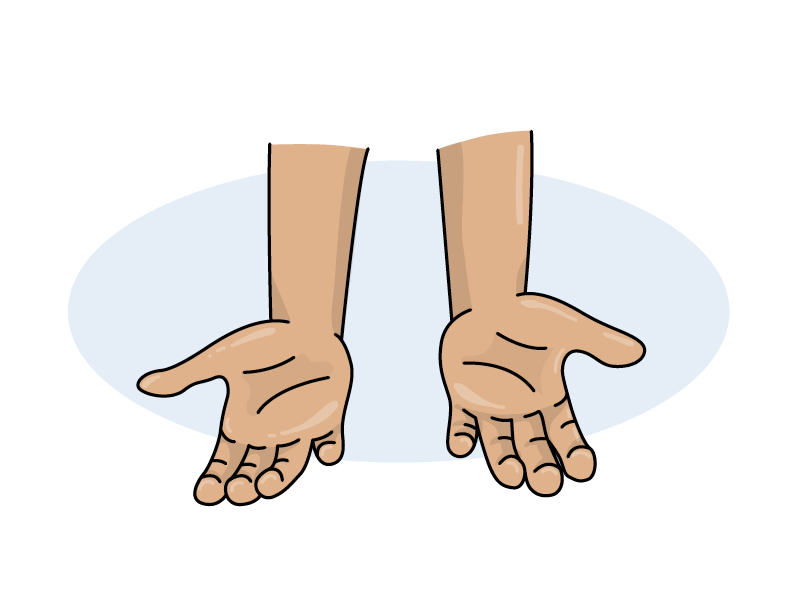 For overhead marks: take a few steps back and hold the ball at adult shoulder height. 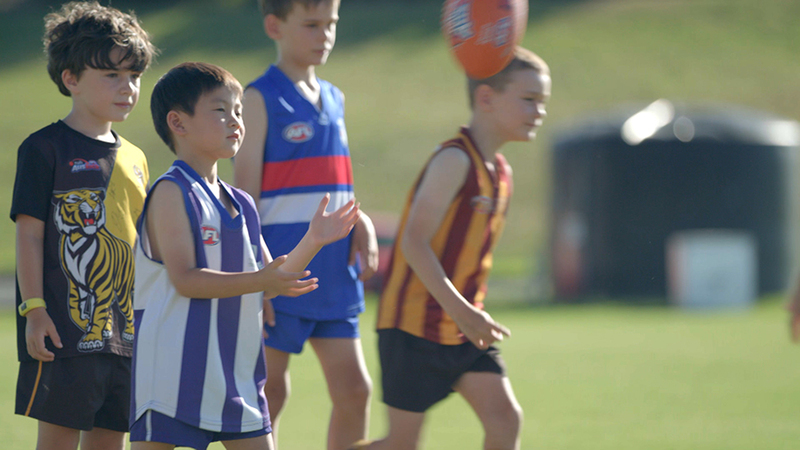 The Auskicker runs forward and grabs it! 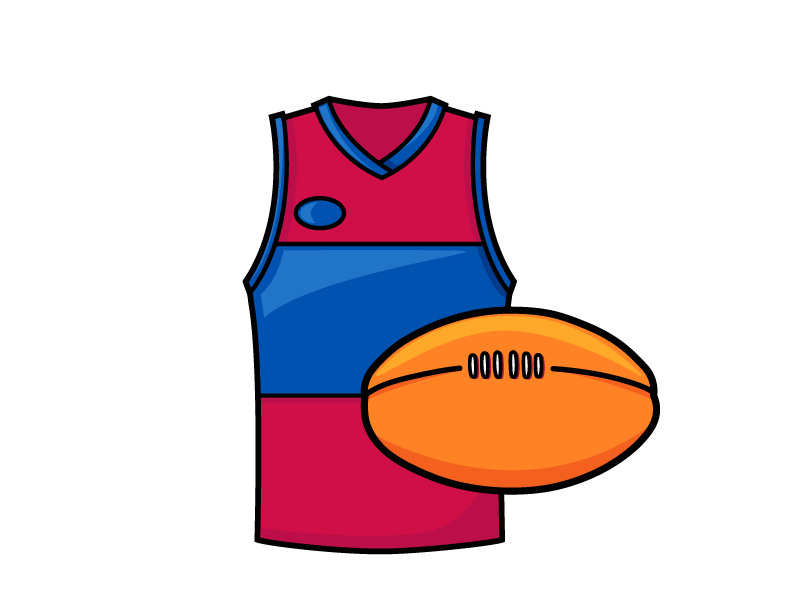 For the “spectacular” mark (the speccy): Hold the ball out to the side and higher than your shoulders. 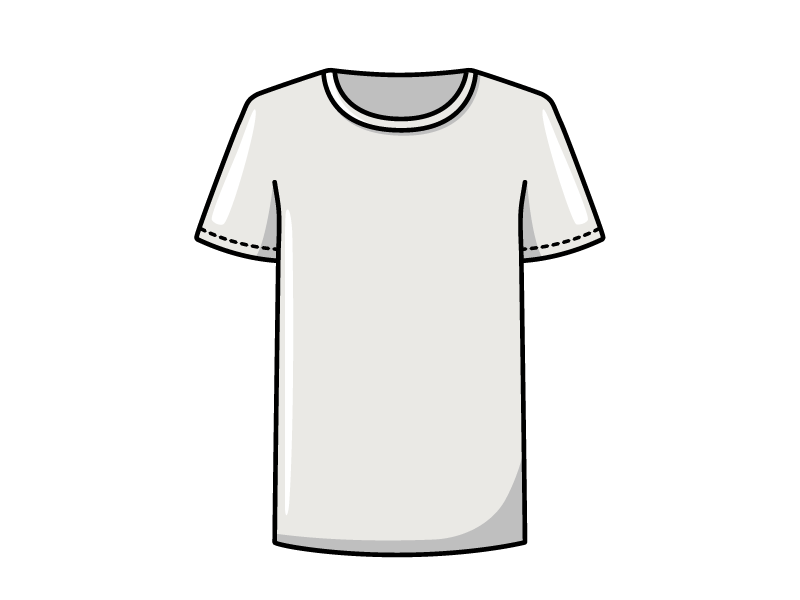 Have the Auskicker run towards the ball and jump to try to grab it with their knees in the air (like a speccy)! 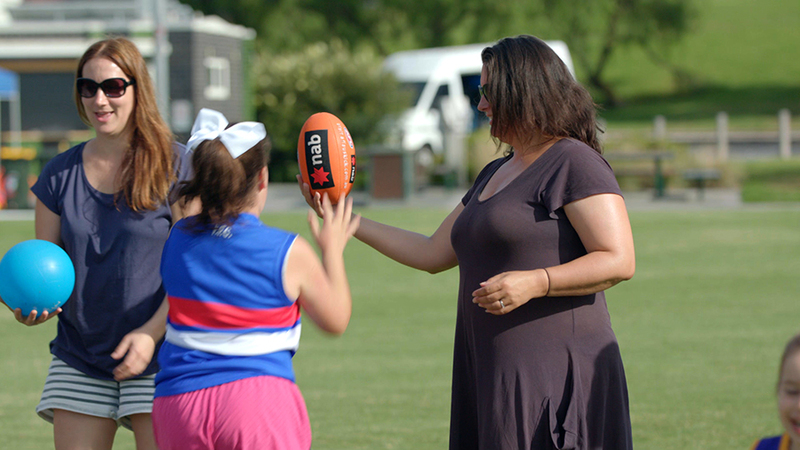 After a few goes, gently toss up the footy (rather than holding it) for the Auskicker to catch. 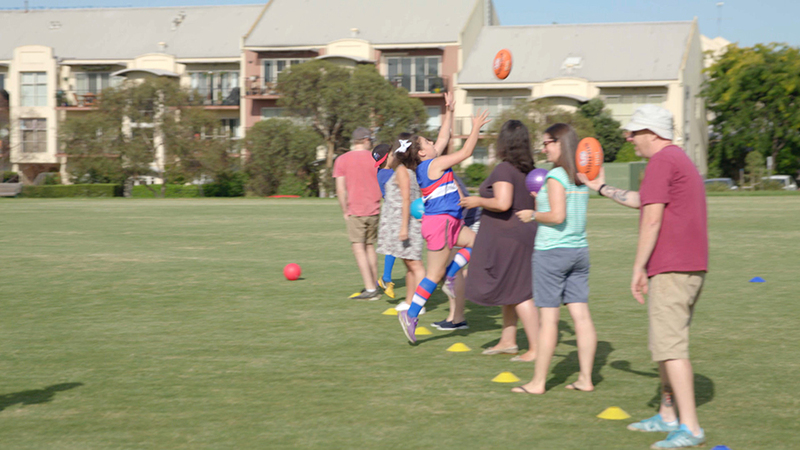 Try timing the activity and see how many speccy’s an Auskicker can take in 30 seconds! Call out different kind of marks each time so it’s different for them each time. 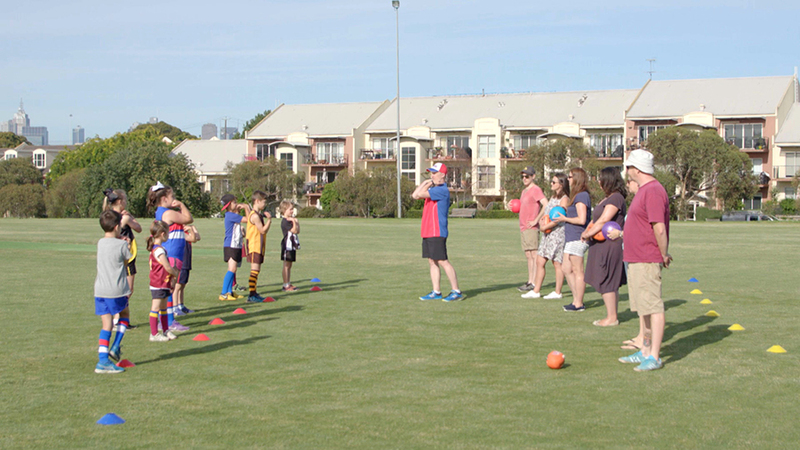 Before each activity run through how to best catch the ball with the Auskickers. Download the Handy Hints below for more technique tips! Simple tips also include: Keep your palms up; keep your elbows close in to your body; hug the ball with your arms when it comes to you. Keep encouraging Auskickers and soon everyone will be taking Mad Marks!